Puma quality, since 1769! 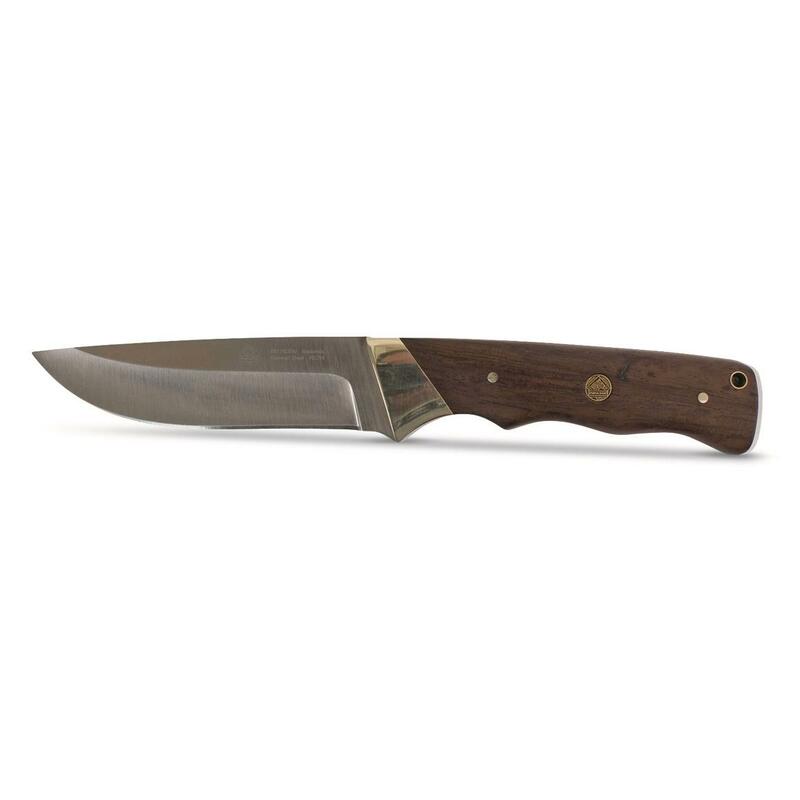 The tradition of topnotch knife-making continues with this SGB Badlands Wood Handle Knife. 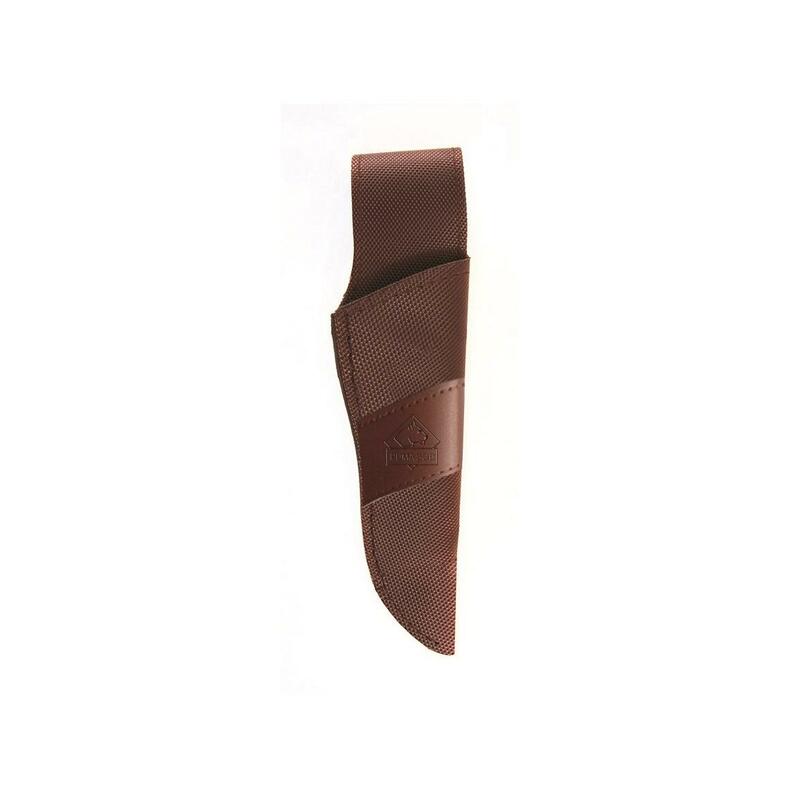 It boasts a rugged German steel blade that's incredibly sharp and holds an edge nicely. Plus, the wood handle feels great in your hand and provides a secure grip in any weather condition. A true must-have for dressing big game and general cutting tasks. 8.5" overall, weighs 6.4 ozs. 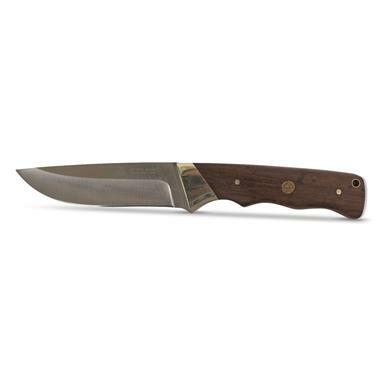 Puma SGB Badlands Wood Handle Fixed Blade Knife, 4 Blade is rated 4.5 out of 5 by 2. Rated 5 out of 5 by Paul from A fine blade A really nice knife and case. Good feel and balance plus I like Puma's products.